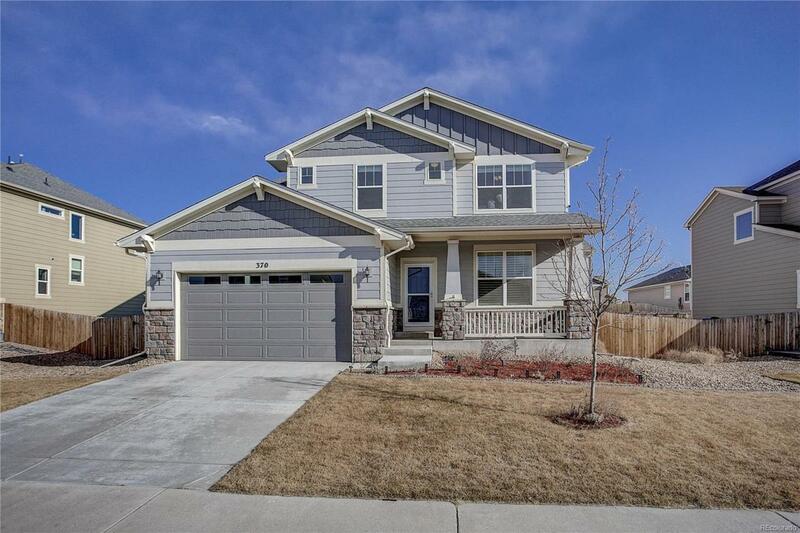 Welcome home to this meticulously maintained 5 bed, 5 bath home. 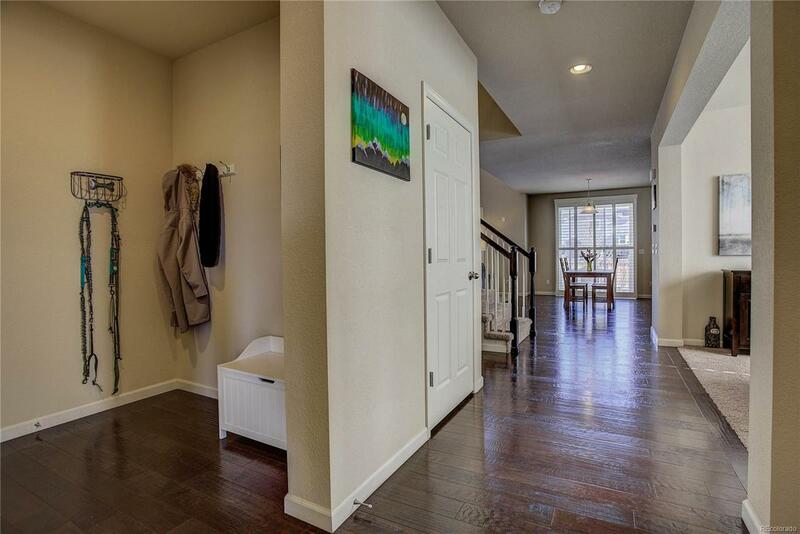 Upgraded wide plank hardwood floors extend from entry to breakfast nook and open kitchen that features large island, slab granite & stainless appliances including double ovens, microwave, dishwasher & cooktop. 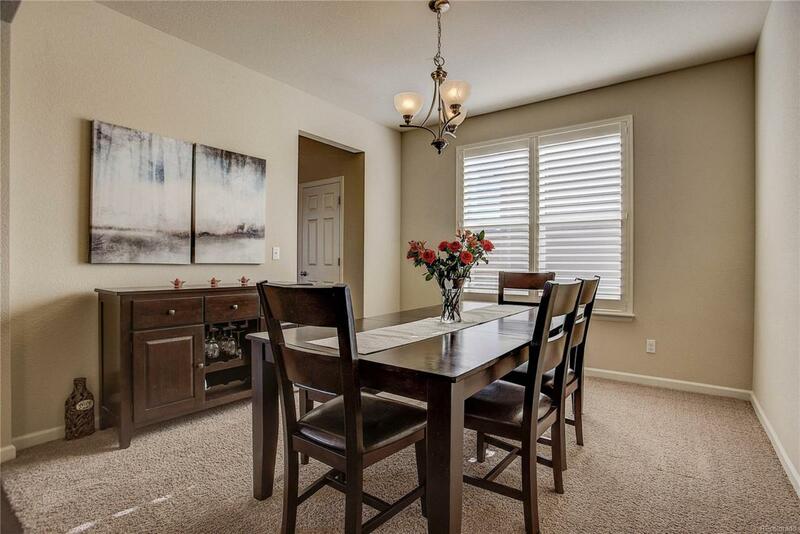 The formal dining, family room, office & mudroom complete the main level. Upstairs offers 4 large bedrooms & laundry. Master suite with 5 piece bath and his & her closets will not disappoint. 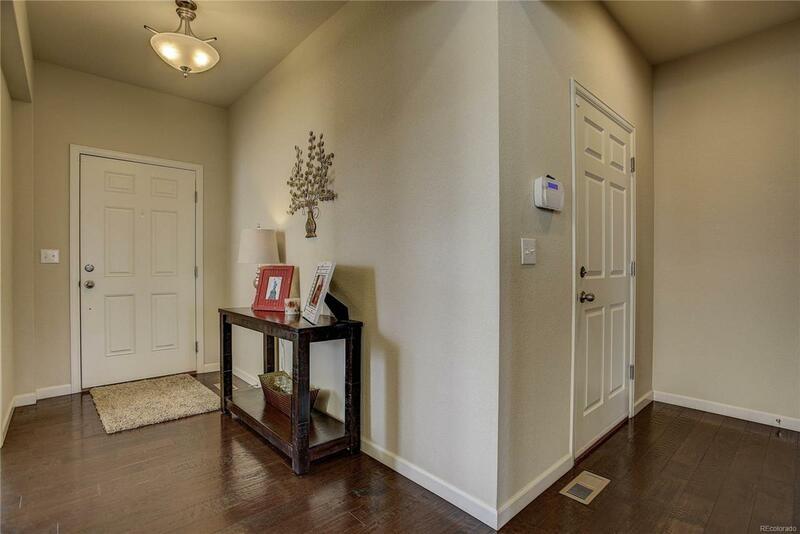 The newly finished basement offers all the extras! Large media room with wet bar including sink & wine fridge, Broncos exercise room, bedroom and 3/4 bath. Too many details to include: plantation shutters, mineral rights, security system, vegetable garden, Marcy exercise equipment, garage freezer, built-in garage workbench, 2018-new roof, 3 car tandem garage. Solar Panels-Negotiable. A delightful home!